N 17 - monemades Webseite! 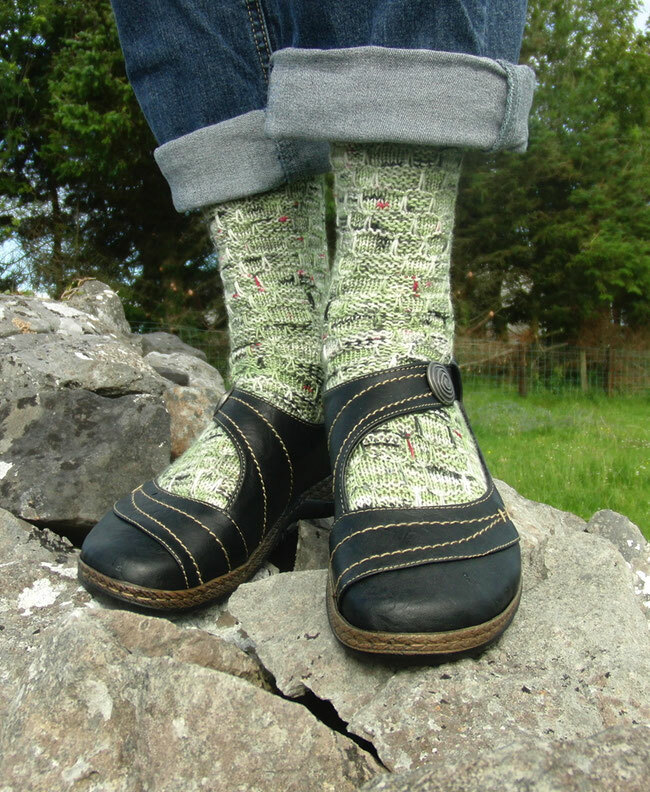 The socks are knit in an easy to memorise textured pattern with elongated slipped stitches to represent the many stone walls along the N17. 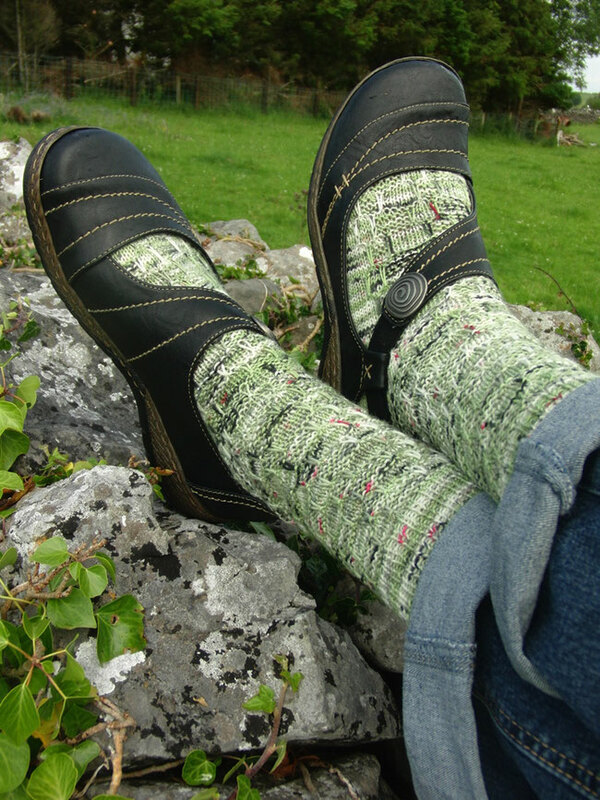 They are worked curff down with heel flap and gusset. The pattern works pretty well with variegated yarns. Now, what makes these socks even special for me, is that there is a small story about the yarn I used. It is Life in the Longgras Fine Sock in colourway Farmgate and when we visited friends in Ireland a while back, they arranged for me to meet Caroline, who dyes the beautiful yarn together with her husband Jonny. I showed here these socks in their yarn and told her about the collection I was working on and even told her the tentative pattern name N17... and she was seriously stunned. It then turned out she if from Tuam, a town in Galway bordering the N17. How fun I had used her yarn for a new pattern called N17. Coincidence or was it meant to be? However, it made this pleasant visit all the more memorable! I shared a lot of pictures of the visit here, if you are interested. 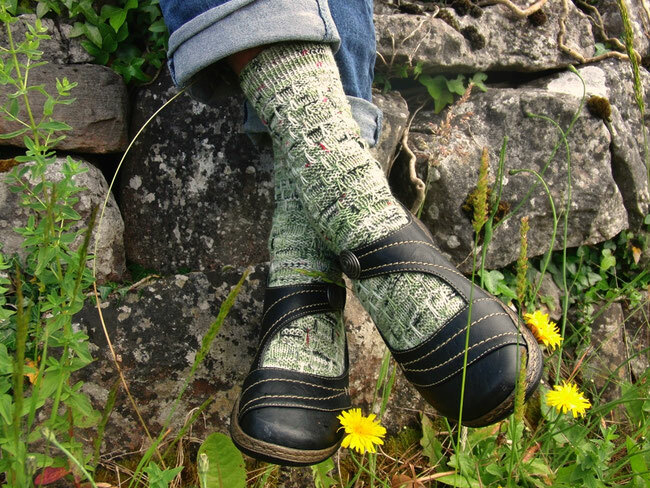 In my Ravelry store N17 is available as individual download, here, or as part of the Irish at Heart collection, here.